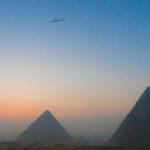 Yesterday the Solar Impulse 2 (HB-SIB) finished its around-the-world journey when pilot Bertrand Piccard flew it from Cairo to Abu Dhabi. This is certifiably a big historical achievement ranking up there with Lindbergh’s first flight across the Atlantic Ocean. 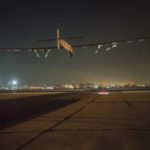 Where Lindbergh’s flight opened the door to what’s now routine, taking airplanes around the world, it’s possible the Solar Impulse will open the door to more clean technology adoption whether in airplanes or on the ground. This was a great achievement, and I’m happy to have been privileged to witness this progress over the last 7 years I’ve followed the story. 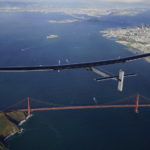 For me the Solar Impulse story is not just the achievement – the first solar powered airplane to fly around the world. The real story is the energy paradigm demonstrated for us by this flight. These pictures were captured from the “Virtual Cockpit” pages of the Solar Impulse website during the flight from Hawaii to San Francisco. Unfortunately these aren’t available on the website any longer, fortunately I thought to capture them. The green line here shows the Solar Impulse’s altitude throughout the flight. Every morning when the sun rises, they fly the airplane upward to over 30,000 feet. This is an endurance challenge for the pilot since he is constantly going from the altitude of high mountains (8-10,000 feet) to the altitude of the highest mountain in the world (Mt. Everest) every day, then returning to the 8-10,000 foot level at night. This cycle from 8,000-30,000 feet every day is for energy management purposes. The picture at the top graphs energy characteristics throughout the day. The other thing to notice is the energy cycle throughout the day, shown by the yellow line, and the energy chart above shows even more details. 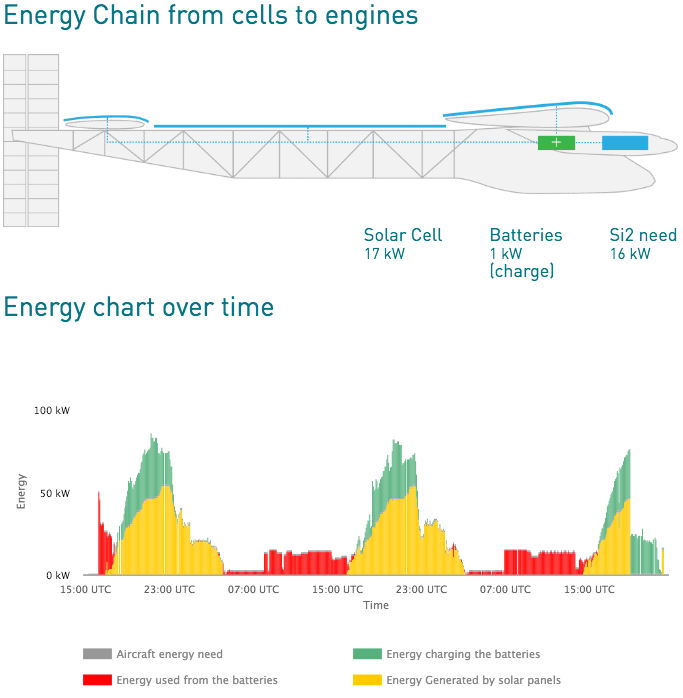 During the day the Solar Impulse captures enough electricity to not only power the airplane during the day, but to recharge the battery pack to 100%. As soon as the sun sets, the solar panels cannot capture energy (of course) and the airplane flies on stored energy. The battery pack is big enough to fly all night long, with the glide from 30,000-8,000 feet helping preserve energy. That’s a neat trick, eh? It’s interesting to geek out on how this worked out, but there is a bigger picture to it. Think about the typical single family home. How many kiloWatt-hours of energy is required to run the house at night? 10 kWh? 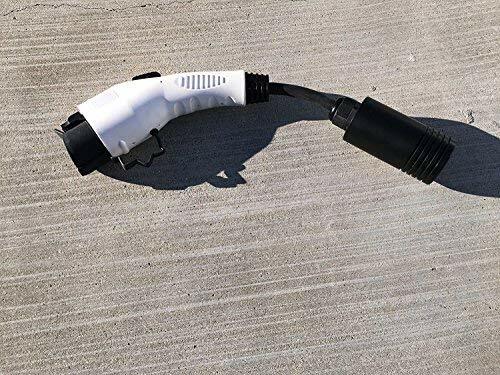 20 kWh? The typical house has enough roofspace to hold enough solar panels to provide enough electricity to completely offset its yearly electricity consumption. What if you powered your house the same way as the Solar Impulse flew? What if your house had solar panels and energy storage, enough of each so that most days your house could completely power itself? You’d never have to touch the electricity grid, and can be 100% assured your electricity is 100% clean. This isn’t a fantasy, it’s off-the-shelf technology. Some even are proudly living “off-grid” with no electrical grid connection at all. 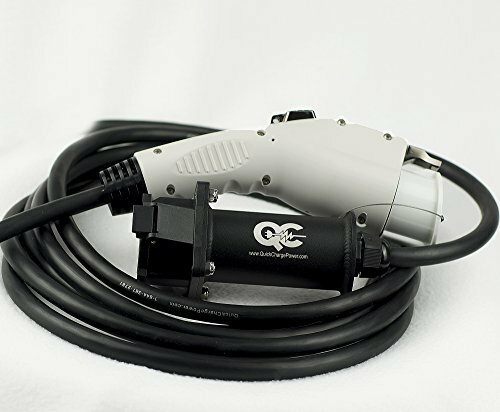 Speaking for myself, I’d still want to be connected to the grid to have it as a backup in case of problems. The point is that it’s doable now, and getting more and more viable every day. What if a whole neighborhood could be powered this way? 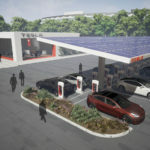 Instead of 10 kWh, that might require 500 kWh for a neighborhood (don’t quote me on that number, it’s made up out of thin air), or several gigaWatt-hours for a whole city. Maybe there’s a shared energy storage ownership model which could be developed, like the several community-shared solar array ownership models. The trick is having enough electricity storage capability so the house/neighborhood/city can be powered all night long from stored solar (or wind) electricity. By doing so we can begin to truly divorce ourselves from fossil fuels. Energy storage system (battery packs) costs are falling rapidly. Tesla Motors, for example, claims their Gigafactory will slash battery costs to the $100/kWh level. 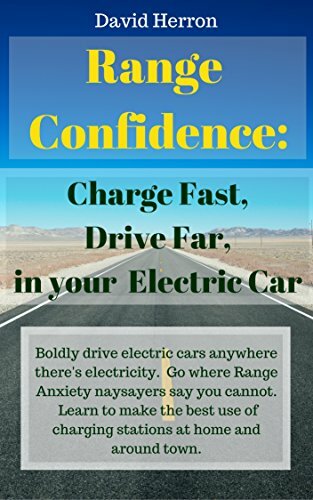 At that price pundits have, for years, predicted electric vehicle’s will be undeniably cost effective against gasoline cars, and should take off rapidly. It also makes large scale energy storage viable for wide-scale use way beyond the pilot projects currently deployed. The Gigafactory (and subsequent Gigafactories) are the enabler of this picture by creating massive economies-of-scale advantages. What’s called “base load electricity generation” is the more or less constant part of the total load on an electrical power-supply system. In other words, it’s the energy consumption at night when everybody is asleep. While some areas are starting to see enough solar power to erase fossil fuel powered electricity from the daytime, as soon as the sun goes down those fossil fuel plants must fire up to provide the base load electricity needs (and more). 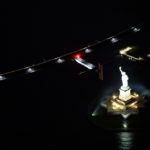 The Solar Impulse demonstrates to us the model for escaping that problem. It’s “just” a matter of enough energy storage to make it through the night. Plants and animals have done this for millions upon millions of years. They gather enough fuel during their waking hours to make it through their sleep period, or in some cases to make it through the winter. Therefore we don’t just have the example of the Solar Impulse, the natural world demonstrates this pattern to us every day. Indeed, let’s take what the Solar Impulse team demonstrated – and take it further, to power our cities in the same model. Energy Storage, Grid Energy Storage, Solar Impulse, Solar Power, Tesla Gigafactory. Bookmark.